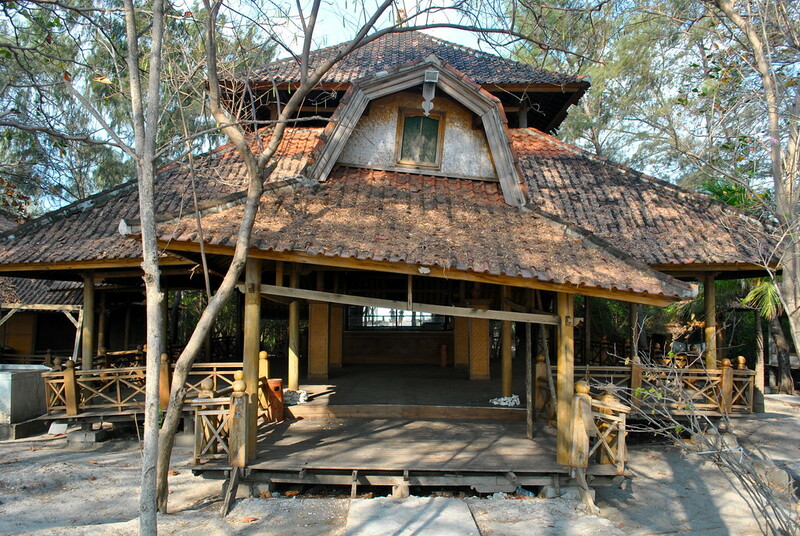 Visit An Abandoned Hotel On Gili Meno island! When you think about seeing the world, what image do you conjure in your mind? What one experience would you like to have above all others? For us, when we first started travelling, we were obsessed with finding a small island to call home for however short a period of time, our own slice of paradise. We found our piece of island paradise when we visited Indonesia, opting to spend a week on the island of Gili Meno, nestled just off the coast of Bali. The reasons for this were numerous: we could walk around it in a couple of hours, it has some of the best snorkelling around Bali, and despite some developments, it is still rustic and barren in places. Fancy a fruit juice? You might need to walk 15 minutes along a dirt track to get to the next wooden shack facing out onto the turquoise waters. Whilst on the island we did stumble upon a reminder of what Gili Meno could have become, or more worryingly, a vision of what the future holds. Most of the developments on the island are small and unobtrusive. Away from the main port, you will come across a few single storey wooden buildings, but aside from them there remains a stark lack of larger developments. This hasn’t always been the case, as we discovered when we stumbled upon an abandoned larger resort on the island. We first noticed one of the old bungalows, set alone amongst the barren grey dirt ground. Some poorly looking trees and growth remained around it, but where we assume was once vegetation and grass there was nothing. Catching our eye behind this bungalow was another, and then another, and another. Each empty and abandoned, each in a state of disarray. We left the dirt path running alongside the beach to investigate further. When were these bungalows built? When were they abandoned? We felt like we were in an episode of ‘Lost’ as we peeked inside these rooms. And then we saw the main building, which must have been the main lobby and common areas. 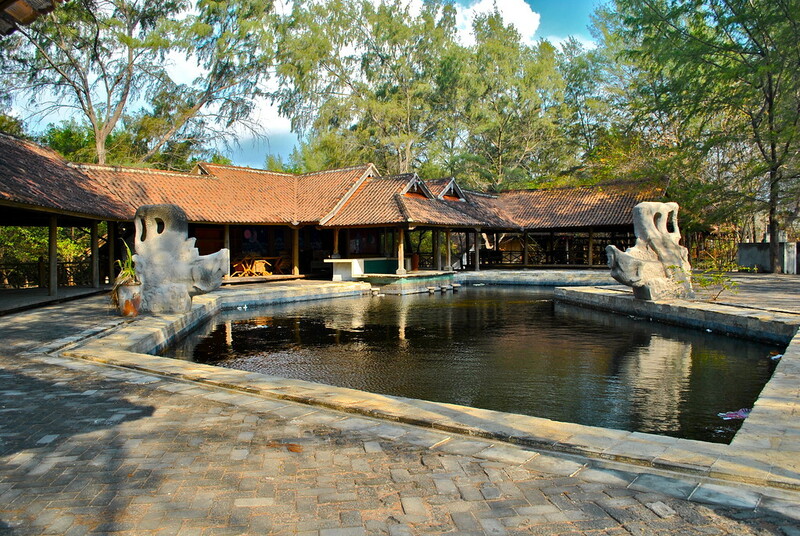 In front of the old building was the once sparkling pool, resplendent with a swim up bar and stools. We couldn’t quite believe this kind of place ever existed on Gili Meno, the island just seems too small to support something as big as this. Perhaps it is too small and thus the failure of this resort. We wandered into the old reception area, watching where we put each foot. The floor was cambered and twisted, structure and design fighting against nature. The roof was fighting and losing the battle as well. 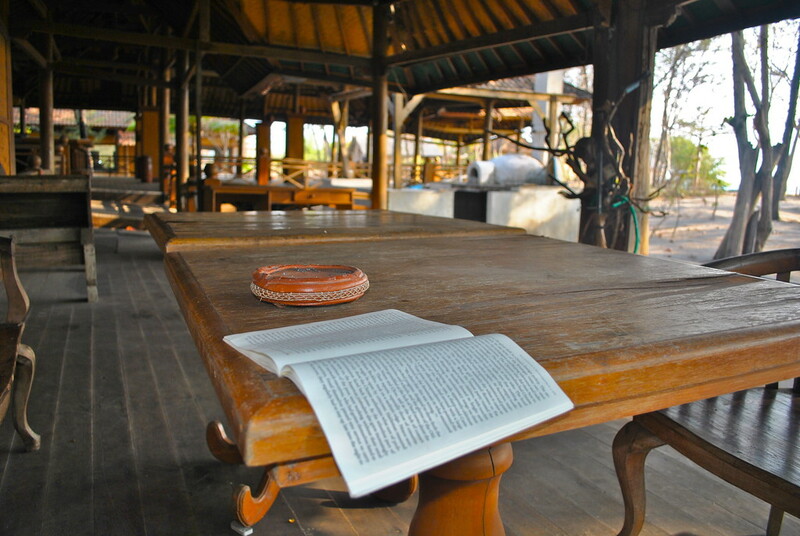 We stumbled across a table where an open book was lain prone, one of its pages fluttering in the quiet breeze. This was a bit weird, had someone come here to read and left it there? We peered inside the old locked office, an old computer still sat there. It was a peculiar and unexpected site for us, and after a while we left the building and carried on our walk along the beach. It did remind us of how lucky we were to be somewhere where developments were growing in a slower, more sustainable manner than the one we had just witnessed. But it also showed us just how quickly things can change, and what the future may have in store for other smaller islands as tourism increases. Is it possible to protect a paradise if it isn’t a designated national park? We left the crumbling wreck to continue our walk, once again happy to be on Gili Meno and a place where, at least for a short period of time, we could escape the modern world and live a more simpler life. Looking for more Indonesia inspiration? Click here. So fascinating! It really does sound like an episode of lost. The book almost seemed spooky. A computer can be left behind, or forgotten in a locked room, but what would a book do there? Why would it be left behind? Why was it still on the table and in good condition? I’ve far too much of an imagination to not be spooked by it, haha. Thanks Sara, it was a strange place to come across! The book was quite eerie, it was probably left there by someone to make the place look even stranger, it couldn’t have been there long. Thanks for commenting and good luck on your travels! My girlfriend and I were just there (2 days ago) what an awesome island! We walked past the same resort, as well as two or three others that were abandoned. We had questions of why or how? I feel bad for not digging deeper with the locals but the questions I asked were always answered with “yes” haha. A few ideas crossed my mind. Was it a dream that was too large for the time? Or was there a storm that damaged it beyond cost effective repair? I also read something along the lines of the owner died and nothing was done with the property. I’m not to sure how fast they build but you should have seen a few luxury resorts on Meno on the rise. 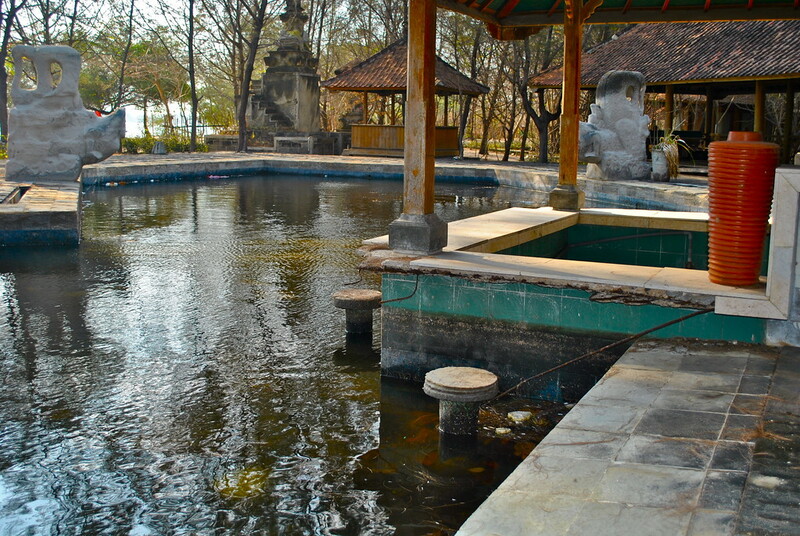 I give it 5-7 years to become the new Gili T.
In between the abandoned resort you have pictured and two (twin?) brothers cafe they are building what looks to be a ferry boat waiting shelter. I feel like once that is up and running it will give that side of the island easy access from Gili T and the fairly undeveloped west side will flourish. Wow that is really interesting, thanks Derek! We only saw one other resort being built when we there so it’s interesting to hear of others being built. The ferry landing on the west side of the island will completely change that side of the island (for the worse in my opinion). We loved the fact that there wasn’t much there, I guess there’ll be a proliferation of developments in the next few years then. Thanks for commenting! 2 weeks ago i visited gili meno, i stayed 3 nights at The Reef Resort – just in front of the “BANGSAL”. The atmosphere in gili meno is very different from gili air & gili trawang. All business activities are managed and supervised by local cooperative. They are very maintain this island, they don’t want the economy of this island is dominated by foreign investors as it did in 2 other gili, they don’t want their people become “slaves” in his own native land. It can be seen from the businesses that are there, whether it be services (boats, water sports, etc. 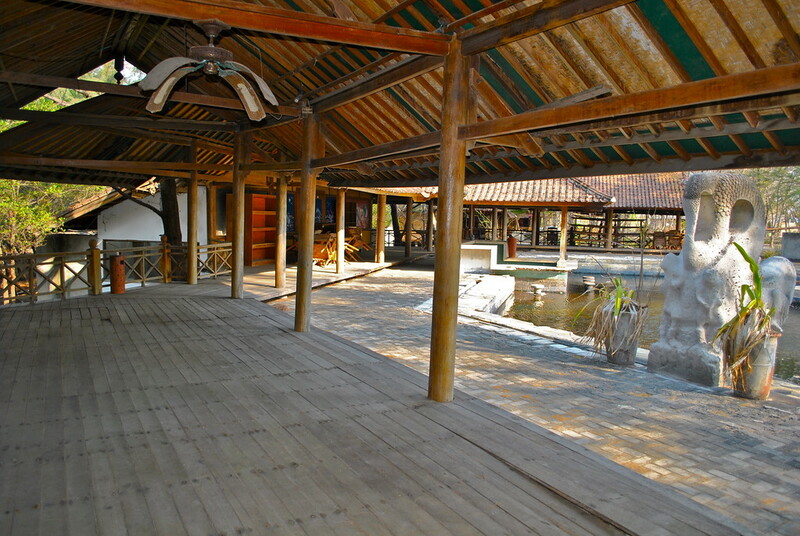 ), shops and restaurants are managed entirely by locals. Ups…sorry, i want to correct the spelling “BANGSAL”, i mean “the Gili Meno harbor”. Thanks for your perspective Dhecy – much appreciated! We did get a glimpse of Trawangan which we didn’t like, and we loved the fact Gili Meno was so quiet at night! Helped us get up early in the morning! And thanks for sharing the info on the cooperatives, that sounds very promising! It really looks like paradise! We head to Bali tomorrow and hopefully Gili meno in the coming weeks. We can’t wait to explore the island and hope we stumble upon that deserted resort as well! Iam in gili meno right now. Actually, iam in one oft the 2 new (built~ 2014?!) resorts that are on this island now, next to another few hotels (at least 5). I actually also found the old resort and took some pictures of the current state. Not sure how to share them here. Facinating, how there used to be a resort long time ago which did not last and a couple years later new resorts are built. Hi there, thanks so much for the comment! 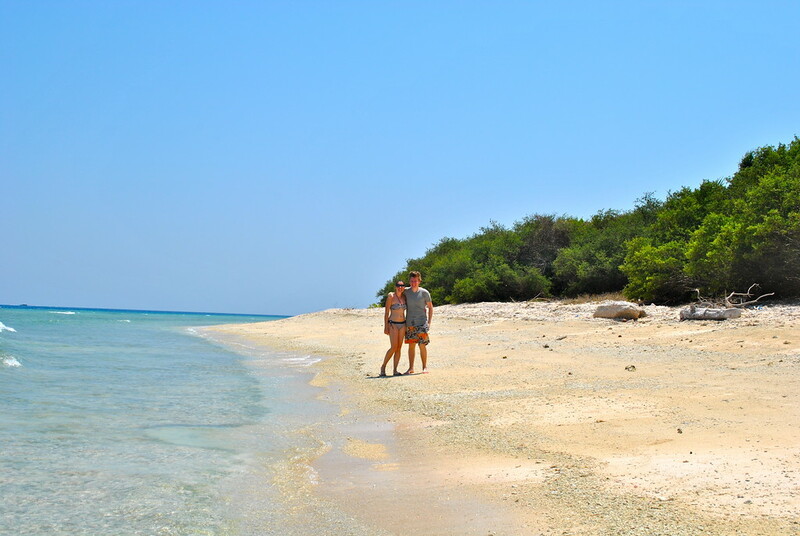 Interesting to hear of new places being built as of 2014, I bet Gili Meno has changed a lot since we were there! As I have heard, there are three sets of islands on the island of Gili, namely Gili Meno, Gili Air and Gili Trawangan. and it seems that still has not been fully explored is Gili Meno. 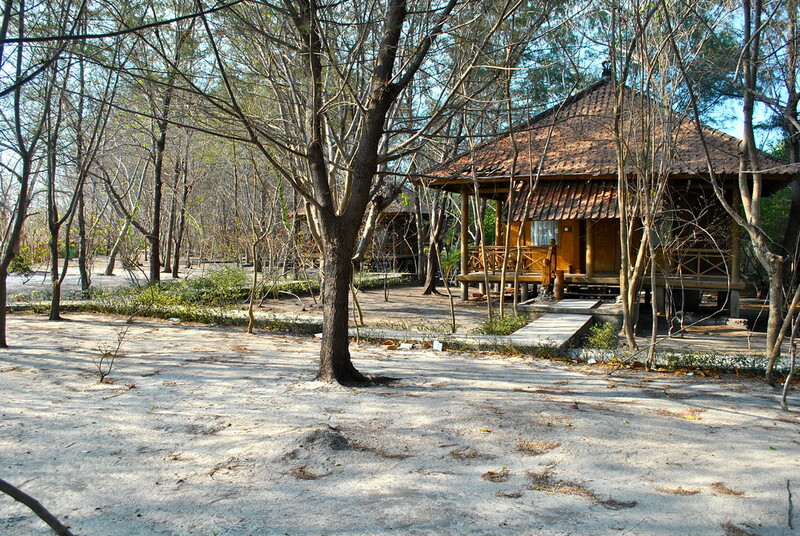 unlike Gili Trawangan which has a lot of access and accommodation. is it true that? certainly very interesting to visit Gili Meno, I really liked the quietness, and it’s the thing I look for when I do a holiday. nice post. thanks. Hi Mughis, yes it is true that Gili Meno is the least developed of the 3 islands! It was definitely very quiet when we were there! Heading that way April/May 2016….that book defo looks spooky, but that place looks like it just requires a revamp and could be up and running, ahhhh if only I had a few more pounds tucked in the sofa. Haha Brez it was a spooky place yep, I was glad to leave after a while! Hi. I walked past this today, it filled me with much sadness. there is also now a rather scraggy ‘For Sale’ sign outside.